What can be more stylish and luxurious than the feeling of real leather inside of your favorite vehicle? 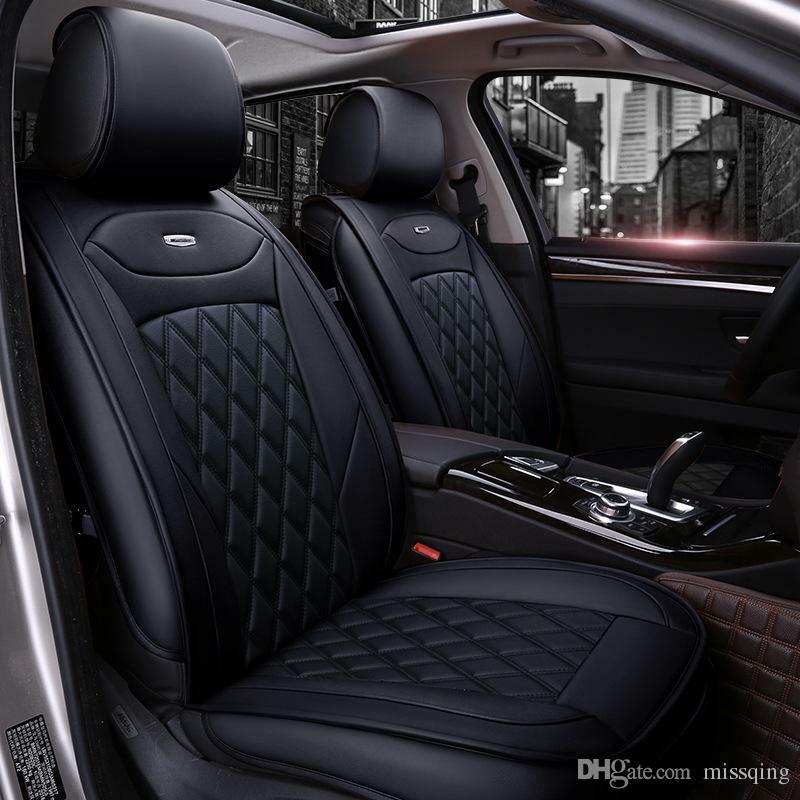 Leather upholstery isn’t just a fancy feature the manufacturer puts in trying to get more money out of their customers, it’s a functionality and comfort component that plays an important role in how your ride feels. And while it seems much more durable and damage resistant than fabric, it can fade away and lose its look quite quickly if no proper care is taken after it. Leather surfaces require protection, cleansing and polishing in order to serve longer and maintain the look. 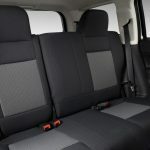 Leather seats and surfaces can’t be machine-washed, but it doesn’t mean that they are difficult to look after. Thanks to high quality cleansing soaps, you can now use a piece of fabric and a couple of sprays to make your car look like new again. There are a couple of main factors a driver wants to pay attention to while choosing the right leather cleanser: gentle and not harmful to the material, pleasant smell, non-sticky formula and convenient to use. So here’s what the market has to offer for these criteria. For those who take the car interior cleaning very seriously, there’s not simply cleansing soap that you can pour on the cloth and rub on the surface. 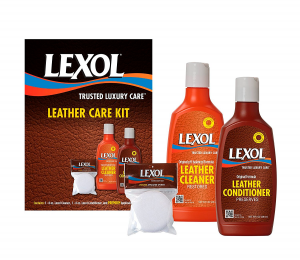 Lexol leather cleaner is a set of two products: an actual soap and a conditioner to be used afterwards. There are even a couple of sponges to be used with the product included in the box. 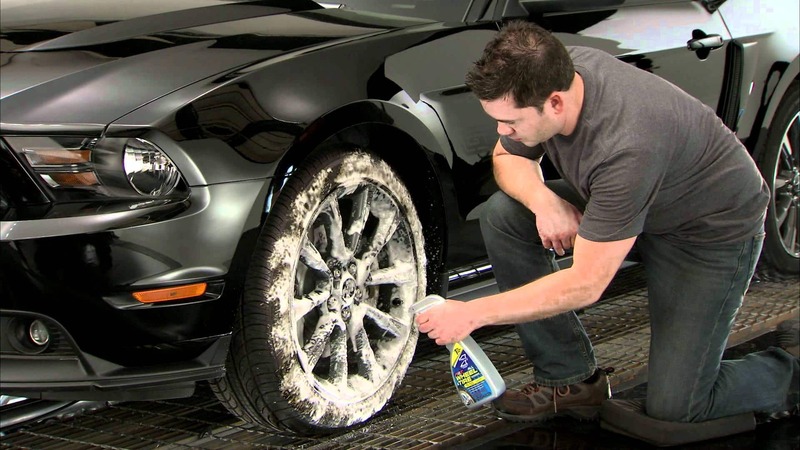 Lexol leather seat cleaner is everything you need to simply buy and put in your car! The idea of having two products gives much better results: you can actually clean even tough stains with the cleanser and easily restore the look of the leather and diminish small cuts and scratches with the conditioner. This leather cleaner is one of the more expensive products on the market, and it doesn’t position itself as an actual leather car seat cleaner, it is positioned as a conditioner that nourishes and restores any kind of leather – from boots and purses to seats and furniture pieces. 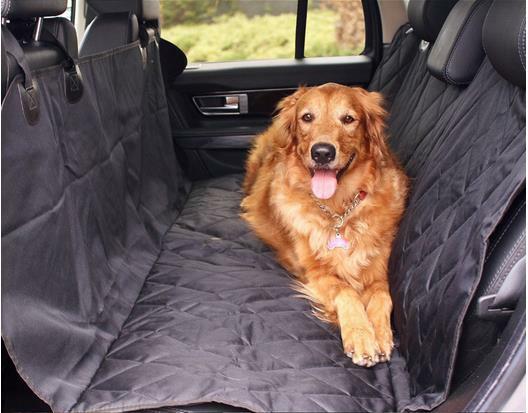 A car interior is just like your favorite purse – you want it to look nice for as long as possible! 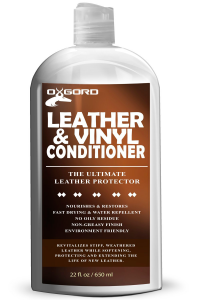 The OxGord’s is the best leather cleaner for this reason – it removes dirt, polishes and protects the leather goods without giving you too much trouble in the process. 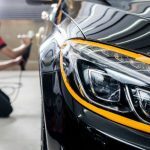 The good thing about its formula is that it contains no silicones or waxes that can potentially clock the leather parts and cause dirt build-up. 4.Meguiar’s G10916 Gold Class Rich Leather Cleaner & Conditioner – 15.2 oz. Maguiar’s car leather cleaner is a rather inexpensive product that provides cleaning, conditioning and polishing features all in one product. It has a pleasant fresh smell (probably from the aloe extract mentioned on the bottle) and is very convenient to use due to the spray nozzle. The only issue that might be a problem is quite a big bottle of the product – over 15 oz – which makes it not a very portable product to be kept in the trunk of the car. The manufacturer also claims that Meguiar’s leather seat cleaner protects the material from sunlight “aging”, meaning it prevents fading and drying of the leather. Out of thousands of previous customers’ reviews, there have been no whitening troubles or color damage caused by Meguiar’s car leather cleaner. 3. Leather Milk Leather Conditioner and Cleaner – Leather Care Liniment No. 1. To please the customers who want to see their car interior shiny and clean, but don’t like using chemicals to achieve it, there is a Milk car leather cleaner by Chamberlain’s brand. It’s not only that the product is made of all natural ingredients and doesn’t contain any harmful chemicals, it is also made in the USA – go local production support! 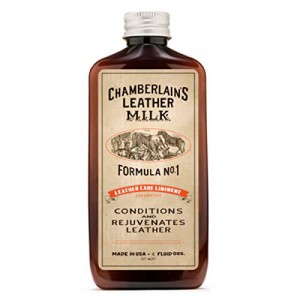 Lots of customers claim that despite its natural content Chamberlain’s leather cleaner works great on dull and dry surfaces, greatly reduces the scratches and improves general look of the product. Unlike with many other natural solutions, no grease or oils are noticed after the application of Milk leather car seat cleaner. 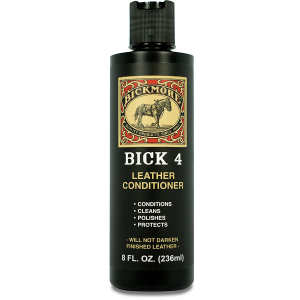 As you can already guess from its name, Bickmore Bick 4 leather cleaner is destined to perform all the functions you are looking for in one formula – remove stains, clean surface, polish and improve the look of the leather. The manufacturer claims that Bickmore Bock 4 leather car seat cleaner can even be used for exotic leather – since it doesn’t have any wax in its formula, it doesn’t build up in the texture and doesn’t mess with the color of the seats. At the same time it enhances the waterproof effect on the leather and gives it a shinier look. The only possible downside that could be found among customer reviews is the cream formula that isn’t as convenient to use as a liquid spray one. 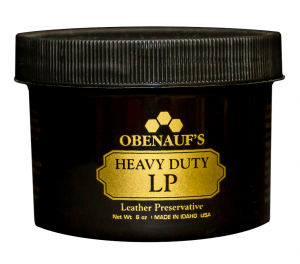 Here comes another great product that is made in the USA – Obernauf’s leather seat cleaner is used by millions of American car owners to make sure their surface fights water and dirt, looks healthy and glowing and subdues the cracking and scratching appearances. 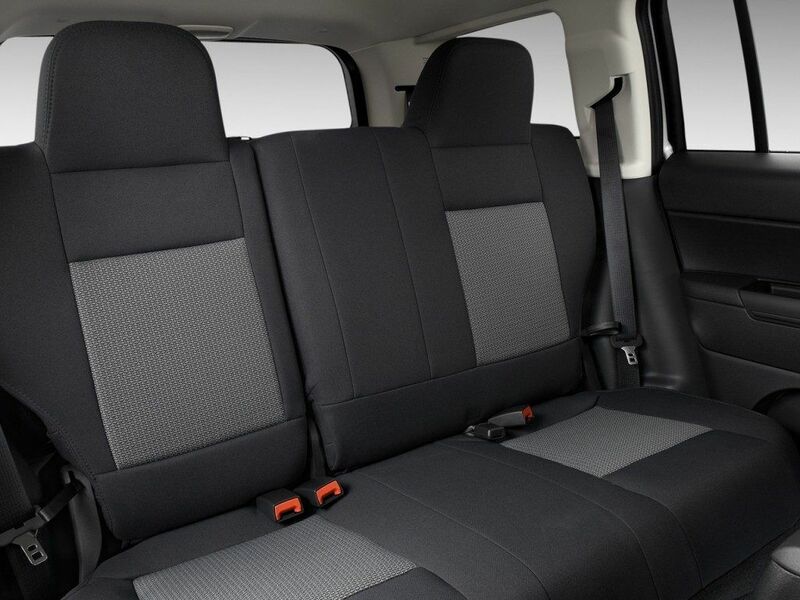 A quite nice feature of Obenauf’s leather car seat cleaner is its additional anti-bacterial effect that will be appreciated by those spending long hours driving in their seats. It does have a somewhat strong smell (probably because of being made of bees wax) and can be tricky to dig out due to its package. However, in terms of its effect, many users name it the best leather cleaner that they have tried for boots, purses and car interior. Nothing is eternal in this world, but good things should stay with us for as long as possible. That’s why taking good care of your leather car seats and surfaces will ensure they serve you longer, look healthier and provide even more esthetic and practical comfort to the driver. With modern spray and non-rinse required formulas it is as easy and quick to take care of the leather goods as it is to brush your teeth – so give it a try!